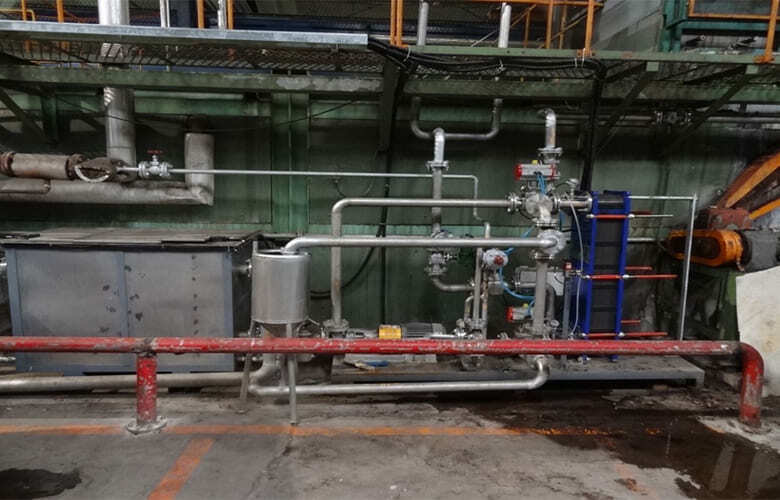 Heat recovery way: Use plate heat exchanger to recover the hot water to be used for desizing machine process. 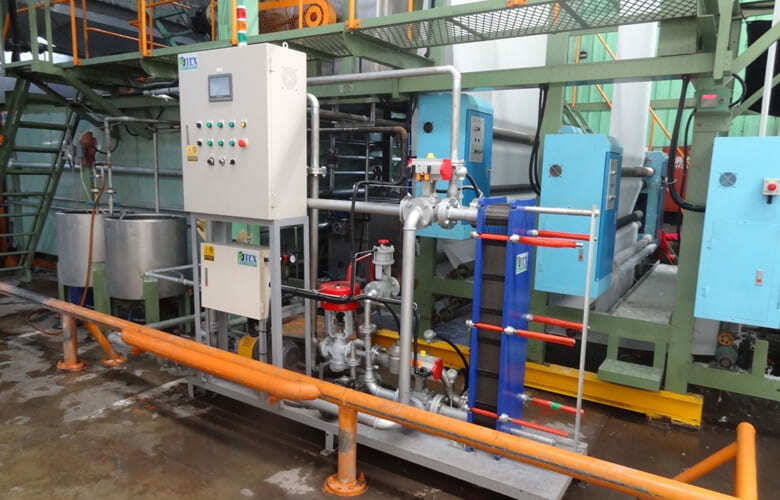 The temperature and flow rate of recycling hot water is 82~92℃ and 10~12 M3/hr. 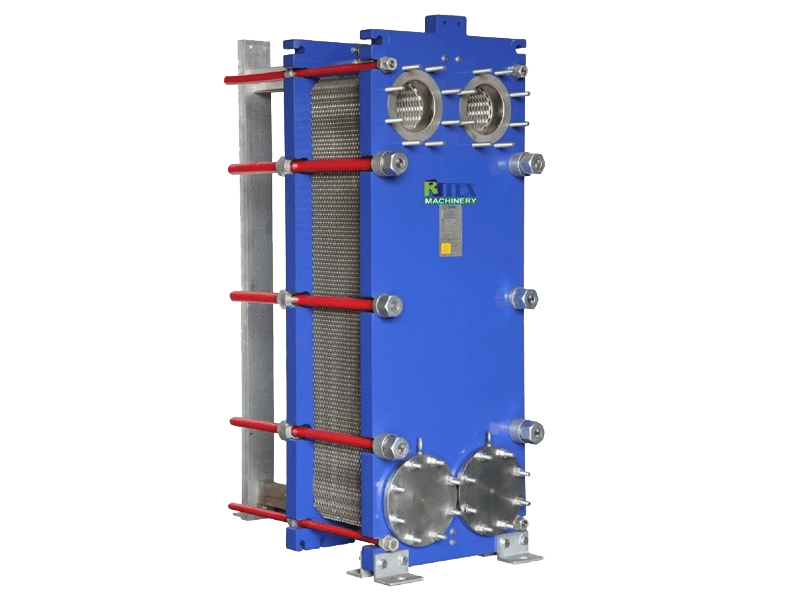 Design concept: Adopt high-efficient plate heat exchanger to combine with PLC+HMI automatic control system and automatic backwash system to recover heat. Cool water flow meter (2“). Automatic control system. 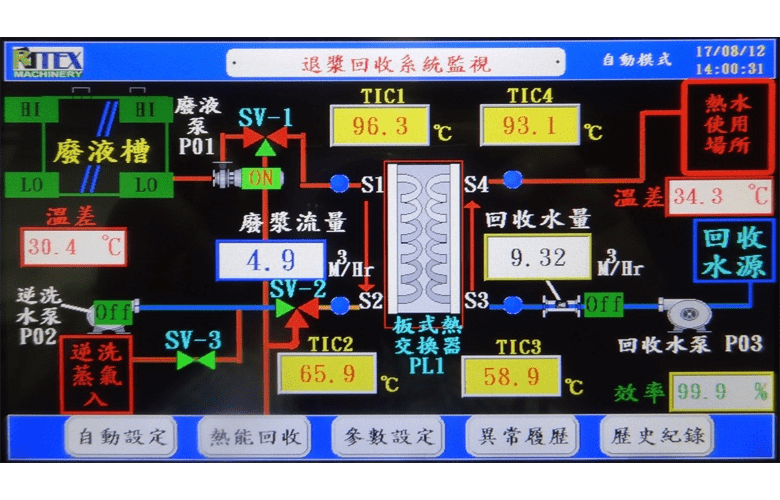 PLC+HMI(7“ color) multi-functional heat recovery control system with PID auto algorithms and minimum operation frequency setting function to achieve optimal heat recovery efficiency. 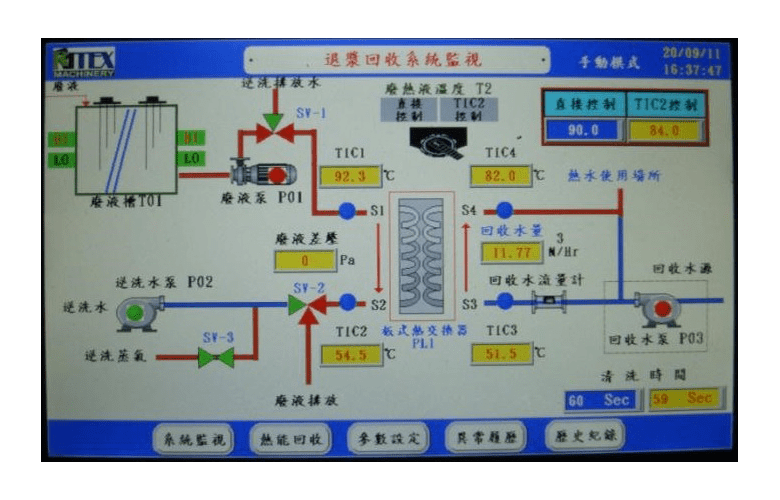 Can record recovery temperature, flow rate, heat, pressure difference, abnormal alarm, and other related operational messages. The request of installation space is small, only needs 1M(width)x2M(length)x1.5(height).